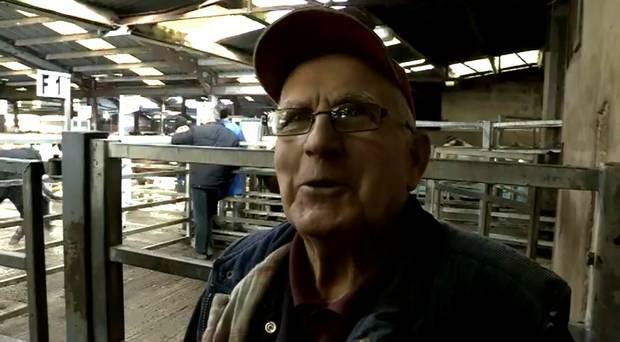 Further tragedy has struck a Co Tyrone family after an 80-year-old man died following an incident at a Clogher livestock market. Harry McAnespie died on Sunday after suffering a head injury on Saturday afternoon. It is understood the incident involved a farm animal. Mr McAnespie, from Aughnacloy, is the uncle of Aidan McAnespie who was shot dead by the British Army in Aughnacloy in 1988. In 2007 his brother Michael was killed after being attacked by a bull on a farm near Loughmacrory in Co Tyrone. His son, Damien, paid tribute to his father. Positing on Facebook he said: “As many of you may know, my dad passed away in the early hours of Sunday morning following an accident in Clogher Mart on Saturday afternoon. “We are completely shocked and devastated by his untimely passing but yet so blessed that he saw us all grow up, get married and have our own children, so many people don’t get that chance. “We have been so overwhelmed already by the number of people who have helped out in the past 24 hours. We also want to thank the doctor, paramedics, the NI Air Ambulance Crew and staff at RVH Belfast who tried everything they could to save him. “We hope to get daddy home some time today for a wake at the family home. SDLP councillor Sharon McAleer said Mr McAnespie was a “hard working man” and was “well respected”. “I knew Harry, he would have been well known in the local community,” she said. “Everybody is shocked and devastated for the family, it such a tragedy for the area, you don’t expect this sort of thing to happen.